Thingiverse offers thousands of items to print on the 3D printer. Listed below are 3D design programs to use with your students. All are free and easy to use, but may require downloading the program to your computer. 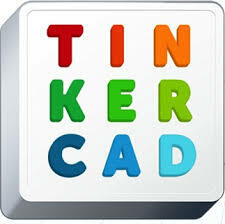 TinkerCad (https://tinkercad.com/): Easiest software to use. Involves combining blocks and other shapes to create your object. Ideal for elementary and middle school levels, plus for non technical users. Blender (http://www.blender.org/): Open source and free design software. Ideal for artists exploring 3D design. Autodesk123D Design (http://www.123dapp.com/design): a simple 3D creation and editing tool. Below is a list of professional software that requires purchasing a license. Visit the Smithsonian to download ornaments entered into the White House 3D Printed Ornament Challenge. Each of these prints take less than 30 minutes. Perfect for a demonstration or one last quick print at the end of the day. Easily draw or trace an image to make a customized cookie cutter.